English | Srpski | Discover Kraljevo! Kraljevo is located in the central part of Serbia, in the valley of Sumadija, Stari Vlah-Raška and Kopaonik mountain range, at the mouth of three rivers: Ibar, West Morava and Ribnica. Kraljevo is the center of Raska County and represents the crossroads of all major transportation lines in this part of the Balkans. 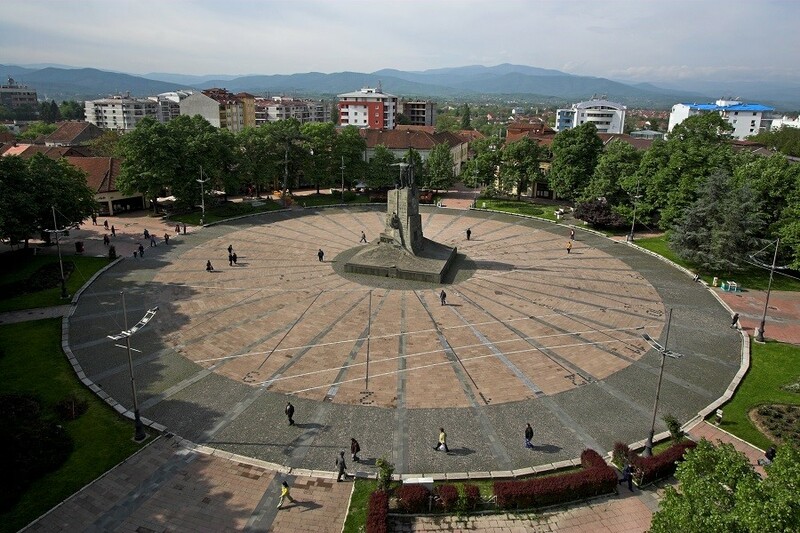 Because of the favorable geographical position, mild climate, rich soil and good road connections with the rest of the world, Kraljevo with its surroundings has been a common choice for the family settlement from different parts. Kraljevo also has very reach cultural heritage, from Monasteries Zica and Studenica, historical events from the period of creation of Serbian country and its origins, to the new cultural events of the 21 century. 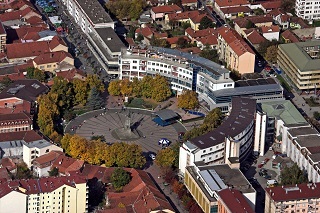 Kraljevo is one important cultural center in Serbia. History of this part of Serbia is not explored enough, but it is certain that the settlements on this place existed 2000 year BC. It is known that on the location of the today’s city, there had been a settlement called Ruda Polja, and since the root of the name is Old Slavic, it could be concluded that this settlement originated in the time when the land gentry was founded in Eparchy of Zica, in the beginning of 13th century. The settlement got its name because of the red pebble ground that rivers Ibar and Morava left behind as they had changed their bank, and on which grass quickly grows, actually redden. Under this name, Rudo polje was in the Turkish land-register of the 15th century, as a part of Maglic County. With the name Rudo Polje the name Karanovac was then mentioned for the first time. Name Karanovac comes from the personal name Karan, as this had been the name of the vlach (srb. vlaški) prince Karan of Rudo Polje. In that time, Karanovac was an important caravan station of merchant roads, and had a significant role in the economy for the Turkish rulers. Karanovac becomes the economic center of Pozega County in favor of Turkey. However, aspirations for liberation in Serbia were spread among the citizens of Karanovac. The First Serbian Uprising began and they set fire to their own town to drive Turks away, and they succeeded. But this didn’t last for long. Turks returned in 1813 and burned Karanovac almost to the ground. During the Second Serbian Uprising, around July 1815, Karanovac was one of the first towns which were liberated from the Turkish direct authority. Economic and cultural life in Kraljevo developed soon after the liberation. Kraljevo changed its name several times, because of the occasions that were often and dramatically changed in Serbia. The name Karanovac stayed til April 19th 1882, and then the name was changed to Kraljevo after the wish of people of Karanovac and with the Decree of King Milan Obrenovic, the first crowned Serbian King after the tragedy on Kosovo battle. Later on, in the modern history, with the Decree of Presidium from Parliament, Republic of Serbia, Kraljevo changed its name to Rankovicevo in 1949, but in December of 1954 the name Kraljevo was returned. While the history almost played with the city name, people from here did not change. The wars did not pass them by, and the names of brave warriors and numerous casualties from Kraljevo were written in the memory books of the Great War and the other Wars that happened later. The arranged transportation are modern buses equipped with air-conditioning, and each guest will get a video from this unique trip. In case of a bad weather conditions, or other situations, the directions of the trip will be changed in accordance with the hotel guests. 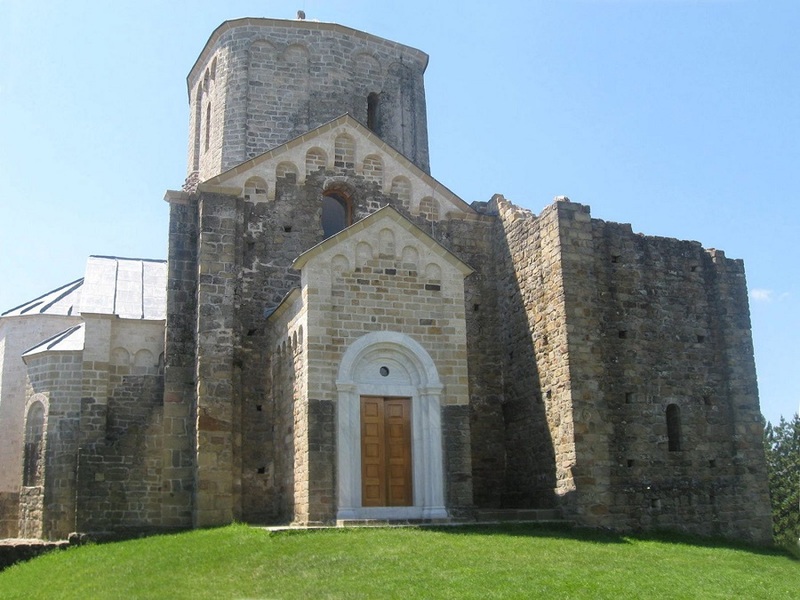 Zica Monastery is a memorial of Stefan the First-Crowned, built in 13th century. The construction work on the main church of Saint Spas began in 1208 and it was finished in 1221. The other endower of Zica is Saint Sava, Stefan’s brother, who had a very important role building this monastery. Saint Sava crowned his brother Stefan as the first Serbian king, and Sava became the first Serbian archbishop. In the following period, influence of Zica as a religious core became great thanks to, among other reasons, high reputation of Saint Sava. Two great goals for the formation of Serbian country were achieved in that time. 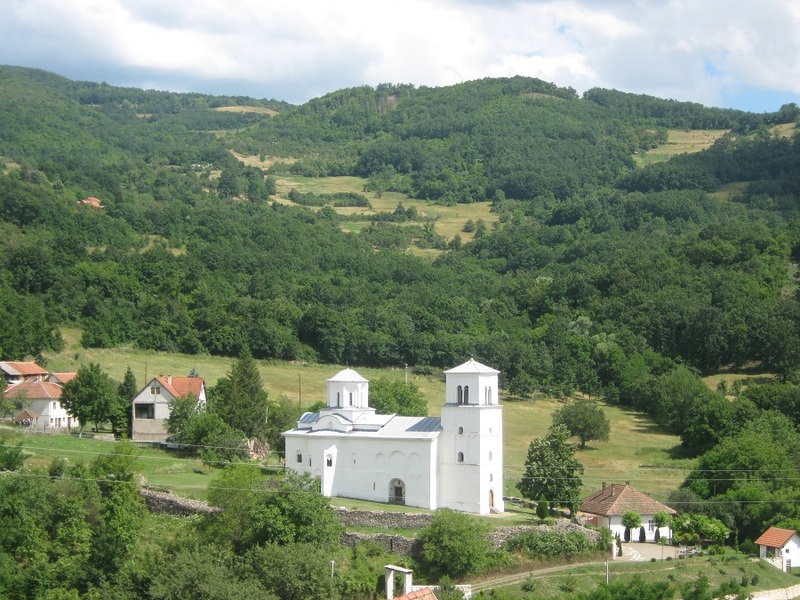 Zica became archdiocese, where kings were crowned and archbishops of Serbian church were named. Seven Kings were crowned in Zica from its existence. For every new King, a new door was made, through which only King could pass, and the door was closed afterwards. That is the reason why Zica is called “Zica of Seven Doors”. Zica Monastery is 5km away from Kraljevo. Studenica Monastery was one of the biggest and richest monasteries of Serbian Ortodox Church, and is dedicated to Assumption of Virgin Mary. Monastery walls surround four churches: Church of Notre Dame, King’s Church, Nikoljaca Church and a church whose foundation was preserved. 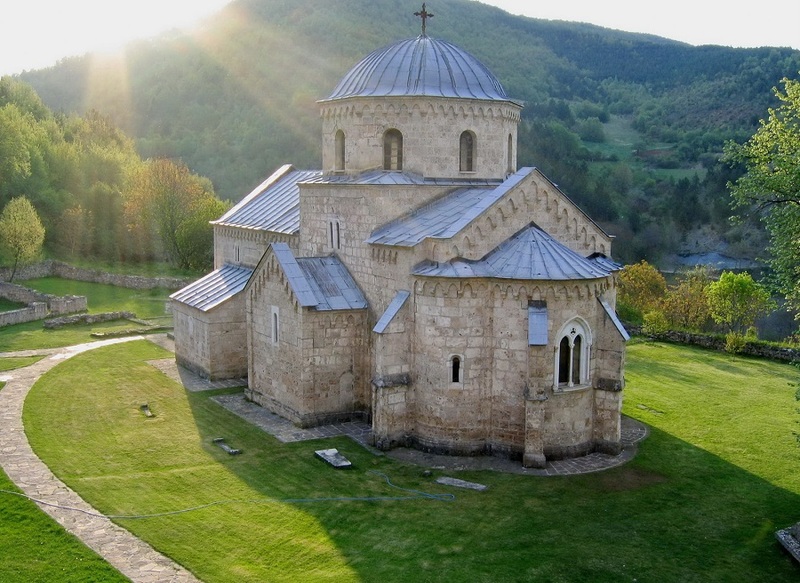 This monastery represents the most beautiful building of Serbian medieval architecture. It is also famous for its fresco collection, dating the 13th and 14th century, and it was enlisted in UNESCO Cultural Heritage in 1986 for its extraordinary beauty and for cultural, historic and art values. The monastery was built in 1190 by King Stefan Nemanja, and here Stefan Nemanja became a monk and was given a name Simeon. King’s Nemanja third son, Saint Sava, brought his relics from Hilandar Monastery to Studenica where they remain today. 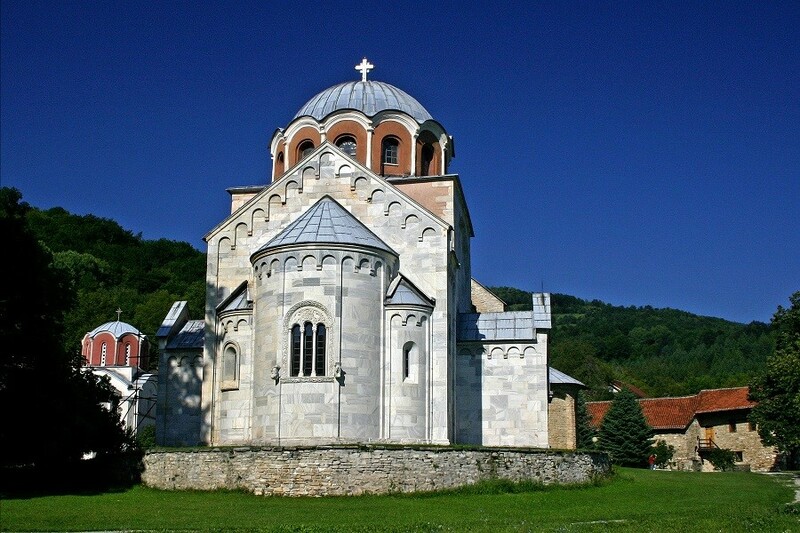 Under Sava’s guardianship, Studenica became a political, religious and cultural center of Medieval Serbia. Monastery Studenica is 50km away from Kraljevo. Not far away from Raska, west from Brvenik and Ibar valley, is Gradac monastery. Gradac is a memorial of Queen Helen of Anjou, wife of King Stefan Uros I, who started building the monastery in the last quarter of 13th century. The construction of monastery was finished by Queen Helen after his death. Dual grave of king and queen in the church shrine and the endower composition where the royal couple holds a model for the church tells us that they built the church together. Inside the monastery there were a big church of Notre Dame and a Saint Nicholas Temple, dining room with kitchen, lodgings and stables. Church of Saint Nicholas and the main church are best preserved. Gradac is one of the most attractive Serbian medieval cultural and historical monuments and this monastery is a memory of Queen Helen whom people used to call “The Queen of the Good Heart”. Her personality draws attention, even today, after many centuries. According to historical sources, Old Pavlica was mentioned for the first time in the 12th century, and it was believed that Old Pavlica had existed before the era of Nemanjic dynasty. According to other sources, Stara Pavlica dates back to 9th century, but it is not familiar who the endower was. With its architectural and spatial concept, Old Pavlica is a unique temple in Serbia. Only one part of the original and a very complex building is preserved today. Old Pavlica is close to the New Pavlica Monastery, on a rocky mound of the right bank of Ibar River. 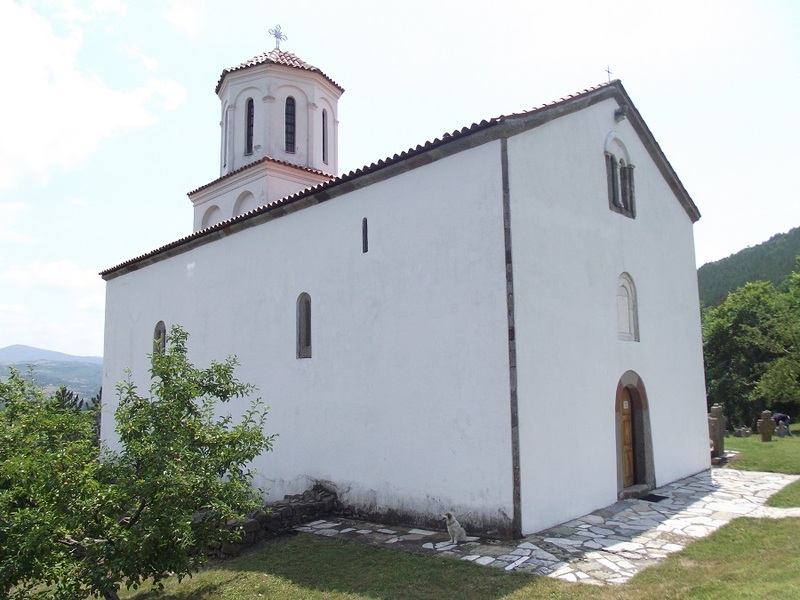 New Pavlica is a Presentation of the Virgin Mary (srb.Vavedenje) Church. This is a memorial of Music (srb. Musić) brothers and their mother Dragana, a sister of Duke Lazar. It was built in the village named Pavlica, on the western slopes of Kopaonik, and it is 7km away from Raska. Given to its spatial design, New Pavlica belongs to Morava architectural school and is different from other churches from that period by its simple façade surface. 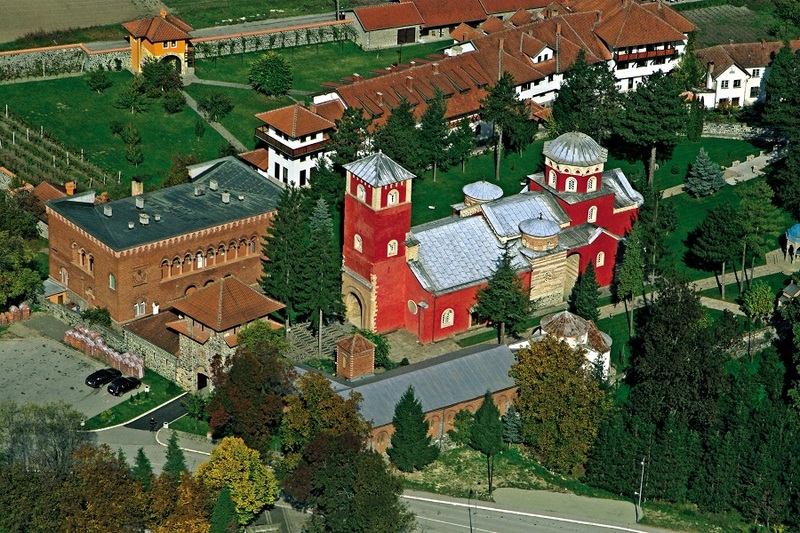 Konculj Monastery originates from the time of Stefan Nemanja. It is not familiar who the endower of this monastery was, but since this monastery always had a very high reputation among Serbian monasteries, it is believed that the endower was some Serbian ruler. Only Saint Nicholas church was preserved and it was restored in 1861. Church of Saint Peter and Paul, more often called Peter’s church, is the oldest church in Serbia, and it is a very significant cultural monument. A circular church core dates back from the 6th century, while the upper parts of the construction are restored in the 9th century during the reign of King Caslav. The church was restored and rebuilt all through the 19th century. It was built above the prehistoric graveyard, where people had been buried from the Bronze Age to the First Iron Age. The object that belonged to the members of aristocracy of the 5th century BC, was found in this graveyard. After the restoration of the wall and the paintings few years ago, the service is being hold again. Djurdjevi Stupovi is on the hill, 4 km away from Novi Pazar. Monastery was founded by Stefan Nemanja, and the main building in the monastery, is Saint George’s Church from 1171. On the south and north side of narthex is a tower or a pillar, one on each side, and monastery got its name by it (srb. stup-pillar eng). King Dragutin significantly restored the monastery around 1283, where he was buried. The monastery was burned and destroyed more than once. A part of the monastery lodging was reconstructed in the beginning of 21st century and a monastery fraternity settled there. 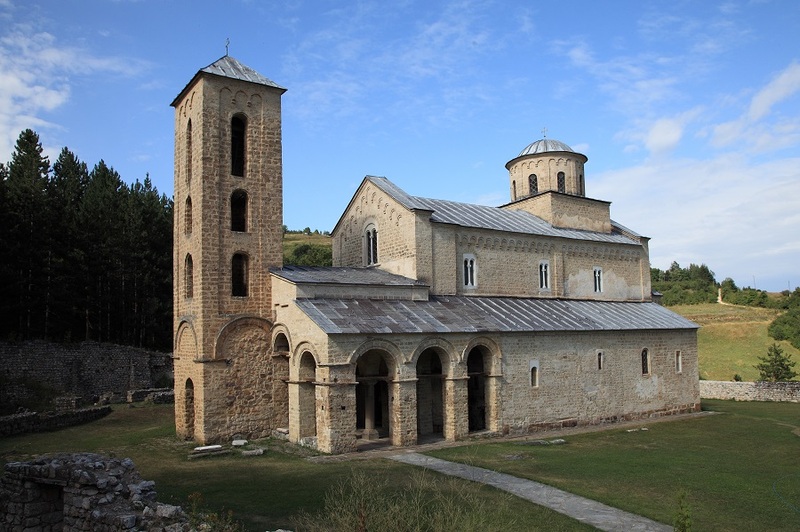 UNESCO enlisted in World Cultural Heritage Sopocani, along with Djurdjevi Stupovi, Peter’s Church and Ras in 1979. Sopocani Monastery, a home of Holy Trinity, was built from 1243-1276 by King Stefan Uros, the third son of King Stefan the First-Crowned. The frescoes from Sopocani monastery are the perfection of medieval Serbian art. 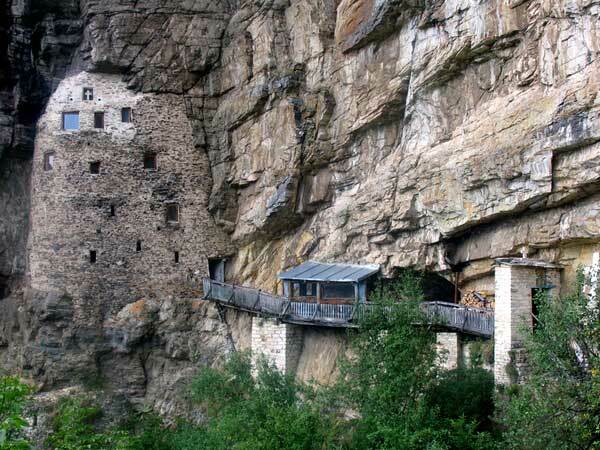 This monastery is one of the most important monuments of history and culture. Monastery is located near Raska River spring, 16km west from Novi Pazar. In the second half of the 12th century, the most important period in the history of Ras began. The ruler was Stefan Nemanja, a great župan (Serbian medieval ruler), and the country was named Raska. Although it was a political center, in the end of 12th century, Raska became a cultural center as well. Some unique works of art were created in Ras, one of them is Gospel of Vukan, which is kept today in Saint Petersburg. The city was conquered by Ottoman dynasty and later on, with the foundation of Novi Pazar, the position of Ras began to fade. The name Ras was mentioned for the first time in the notes of byzantine Tsar Constantine VII Porphyrogenitus and the notes were about the war between Serbia and Bulgaria in the end of 9thcentury. Then, a byzantine chronicler, Jovan Kinema, mentions a town under the name Ras in 12th century. The oldest traces of a settlement date back from prehistory, from the late New Stone Age (around 2000 BC). 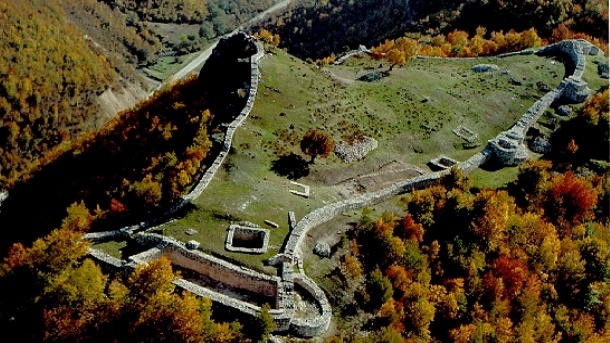 The first built fortifications are from the late antique times, the first medieval town is from the 9th century, and the second one is from the 12th. In the complex of Old Ras there are three archeological sites, a fortification on Gradina, a cave with a church which is under the fortification and a settlement called Pazariste. Old Ras is on the location called Gradina, above Pazariste, 7km from Novi Pazar. 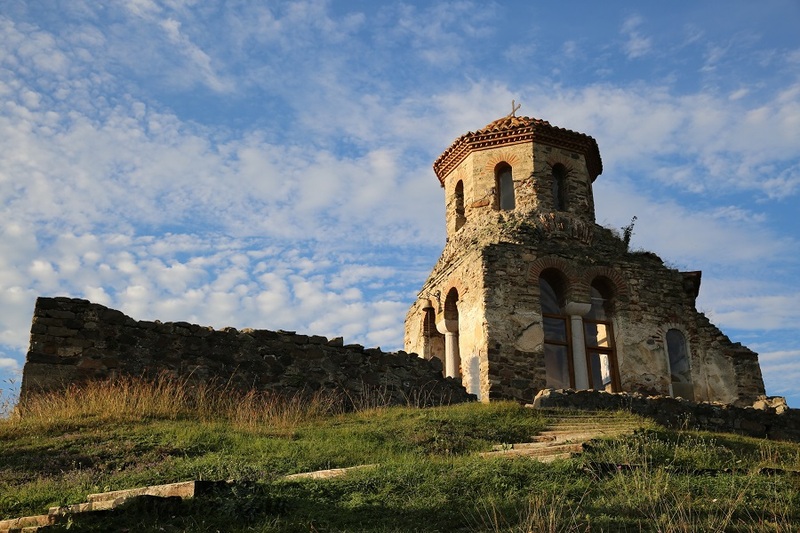 A two-hours away walk from Studenica monastery, through the land called Nemanja’s Tower, is the Saint Sava anchorite’s cell. A swift and a cold river Studenica will follow you on the way to the cell. There you will find two water springs with cold drinking water and a healing mineral water. There is a quarry of white marble that King Nemanja used to build his great church. An hour away, there is a wooden bridge on river Studenica that will direct you to go through the woods of bushes followed by the unusually thick forest. At the end of the forest, you will be surprised by the green valley where the first cell is. 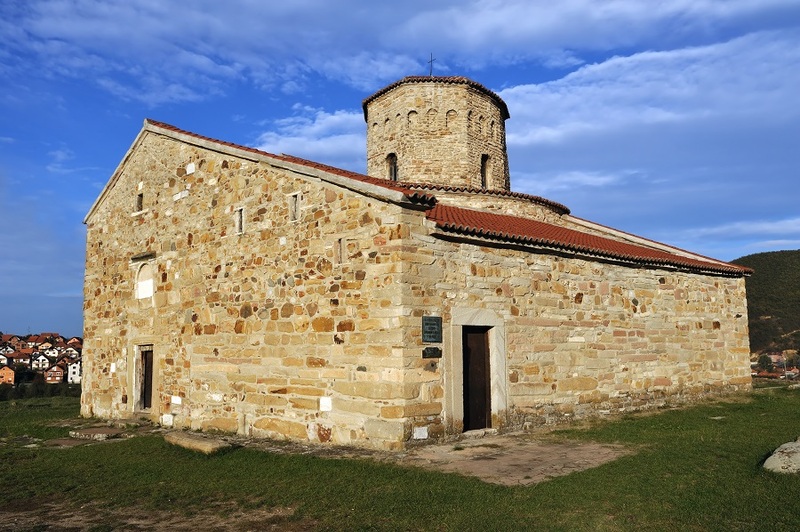 Half hours away from here, up the hill, is the second cell, with the chapel and where three monks from Studenica will host you. One of them will kindly answer to your questions, keeping his piece. To get to the main anchorite’s cell of Saint Sava, you will go up the hill through the pine forest. At the end of this unique journey, Sava’s journey, a passage was made through the rock and it leads to Sava’s anchorite’s cell, his “Home of Silence”. 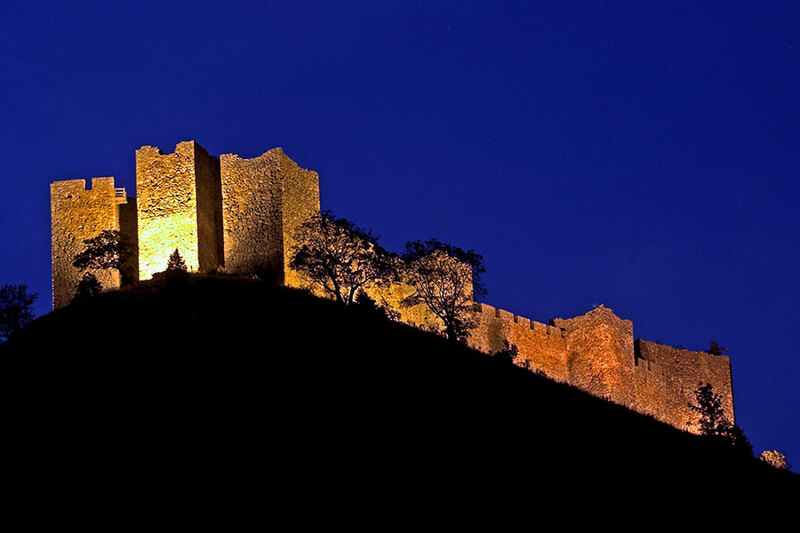 Maglic is a medieval Serbian fortress located 20km south from Kraljevo. There are two assumptions: one is that it was built by King Uros I, after the break of Mongols, the other is that, in the beginning of 13th century Uros’s father, Stefan the First-Crowned built it. It was the Archdiocese of Danilo II, and he managed church and state affairs from Maglic. Maglic is composed of eight towels connected with walls. The tower is surrounded on three sides with river Ibar, on the fourth side is a trench that ends in a rock. Above the trench is the first tower, Donzon, and on the opposite direction, are three towers in a role, which controlled Ibar. Beside these eight towels, Maglic had a palace on the west part, and a church of Saint George, a circular-shaped well, dug in a rock and a tank near the first tower. Maglic is, even today, as a fortress, almost unapproachable, and thanks to that, Maglic is one of the best preserved medieval towns.